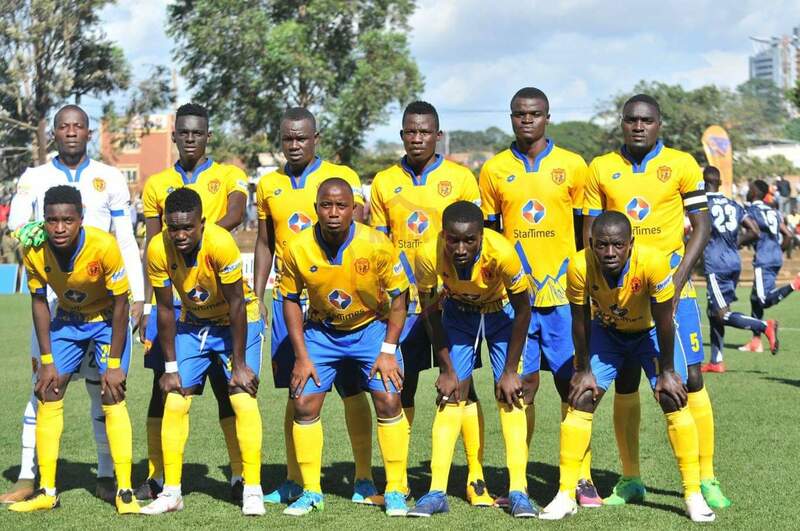 BRAZAVILLE – KCCA FC will be confident they can register a win on the road when they take on Otoho in the CAF Confederations Cup play-off Round first leg on Sunday afternoon. Mike Mutebi’s side have represented Uganda in three of the last four years on the continent and judging by their results, the look to be on a steady improvement curve. In the first round tie, the Kasasiro overcame Tanzanian side Mtibwa Sugar 5-1 on aggregate, including a first ever away victory for KCCA in the competition. However, assistant coach Morely Byekwaso thinks the game against Otoho will not be an easy affair. “The players are all in good condition ahead of the game. It is a bit cold and rainy unlike the climate in Kampala, said Byekwaso in ahead of the game. “We have prepared well and looking forward to the game. “We know they are a good side and it will be a very difficult game but we believe we are better than them and God willing, we will get good results in Congo. KCCA FC travelled to Congo minus midfielder Jackson Nunda who sustained an injury in the 1-0 win over URA at the start of the week. Bernerd Muwanga who is still recovering from a long term injury also stayed in Kampala along with Saddam Juma who is still injured. For Otoho who are in their maiden Confederations Cup, they dropped into the competition after elimination from the Champions League. The Congolese Champions lost out to Platinum Stars on away goals rule to fail to reach the Group Stages of the Champions League. Against KCCA, they come up against a stronger side on the continent and a win for Otoho at home will clearly boost their moral heading into the game. Otoho will be featuring in only their 7th game on the continent under the revised formats. In the other six, they have won two, lost two and drawn two. At home, they are yet to lose, winning two and drawing one of the three fixtures so far. For KCCA, this is their second appearance in the Confederations Cup. In their last campaign (2017), they were eliminated at the Group Stages of the competition. This is KCCA’s 13 match in the CAF Confederations Cup. In the other 12, they have won 6, drawn one and lost only 5 games. Away from home, Mutebi’s side have won only one of their last six matches (Do L5). Charles Lukwago (GK), Malyamungu Jamil (GK), Bukenya Lawrence, Awany Dennis Timothy (c), Gift Ali Abubakar, Musana Hassan, Kaddu Henry Patrick, Mutyaba Muzamiru, Kyambadde Allan, Kizza Mustafa, Achai Herbert, Ssenjobe Eric, Mutyaba Mike, Sserwadda Steven, Kirabira Isaac, Poloto Julius, Okello Allan, Obenchan Fillbert.